Everyone who knows me and follows this blog should have known by now how much I enjoy online shopping. I mean, seriously, who doesn’t? And who has the time to go shopping when you are a 2month old baby lying around you house? I’ve been buying disposable diapers, Arya’s toys, and even food supplements online. I’m actually thinking if I should buy gadgets soon. Waddya think? With the Christmas season rushing in, count downs here and there are already taking place, and I’m no different. I still haven’t done my gift shopping yet. And I do not wish to experience the same horror that I did a year ago. Malls are literally hell. So, for this year, I am considering of buying all of my Christmas gifts online. Less hassle, no traffic and busy crowd. Plus, the only time that I get to get out of the house is whenever Arya is sleeping, or is taken care by my mother-in-law. If you love online shopping as much as I do, I’m sure you’re going to love this. I recently just discovered this online shopping website called Shopback. Shopback is a cashback site. What is that? Don’t worry, I thought of the same question. So basically, Shopback gives customers who shop online a portion of their money back if they do it through Shopback, which helps them save money. They have a wide selection of merchants you can find on their site. Customers can just look for their favourite online store or try a new one (click here to see the best deals), and click “get cashback” to be redirected to the shop. 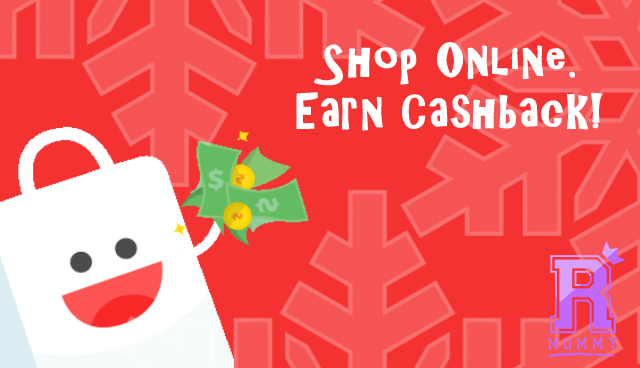 Once a purchase is made, a cashback would be awarded to their Shopback account. 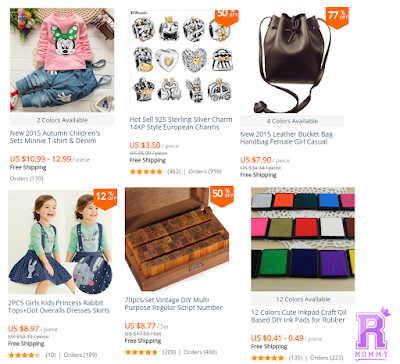 Shopback is already established and known in Singapore and Malaysia, and they are just starting in the Philippines and expanding to the rest of Southeast Asia. 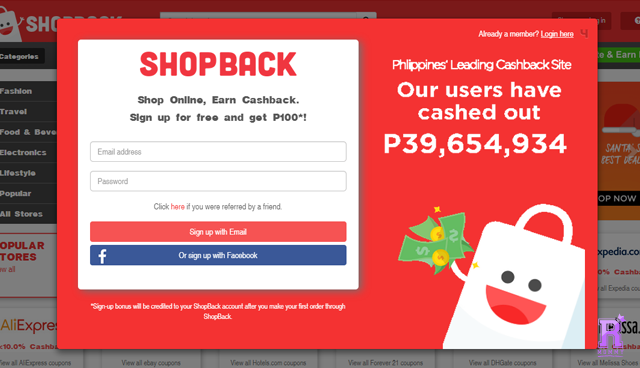 Knowing how much Filipinos love online shopping I am sure that we are in a treat with Shopback! So, I just signed-up and excited to make my first purchase through them soon as I’ve seen some merchants that I have tried before. What’s fun is that there is a referral bonus with every successful referral. I realised you can get cashback for a lot of online stores. Like Lazadaoffers up to 10% cashback, and I usually shop in Lazada for almost anything. Zalora, where I shop for clothes, offers upto 12% cashback as well as Zalora coupon codes. I also recently discovered AliExpress that has up to 10% cashback. AliExpress is a shopping site that is almost similar to Lazada but it is operating internationally. I haven’t tried purchasing from AliExpress but I think I might try it soon since they offer wonderful products for mothers like me. Oh, and by the way, another great thing about shopping online with Shopback is that you get discounts that is only available through them, plus you get your cashback reward for every successful purchase. More saving for you, diba! Arya will be running out of diaper stash soon, and I usually get them from Lazada or Cudsly. I’ll try to make the purchase through them soon and I promise to let you know how it goes! Rookie Mommy PH – Thanks to internet for online shopping! 1 comment on "Cashback from Online Shopping!" Rustan’s Supermarket’s Goodness Gang is back!